Leveraging customer data is critical to understanding the current state of your business and drives the ability to predict and personalize the customer experience. 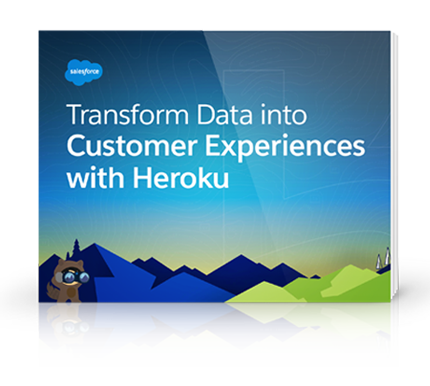 This e-book offers three concise ways in which customers have leveraged their Salesforce deployment with Heroku. From building an API driven agility layer to managing your Salesforce data architecture, Heroku offers a truly integrated way to innovate on Salesforce.